& colour of classic beers from around the world. Purchase your registration key from us & we'll email by return. Give us a call & we'll take you through the set up & get you going. Design award winning beers with BeerSmith by matching the style and color of classic beers from around the world. A familiar, windows interface makes BeerSmith easy to navigate. A tips window helps you learn essential features quickly. A navigation window on the left puts hundreds of ingredients and dozens of tools only a single mouse click away. Features like drag and drop, unlimited undo and a recycle bin make life easier. Building a recipe is as simple as picking ingredients from a list. 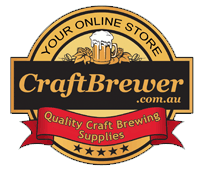 BeerSmith has hundreds of preloaded ingredients including all popular brewing grains, yeasts, hops, waters and miscellaneous ingredients. As you add ingredients the recipe is updated to estimate your color, gravity and bitterness automatically. Choose from nearly 100 styles of beer in our style guide. BeerSmith estimates the color, bitterness, original gravity for your recipe and compares it with the style you have picked. The style guide also includes key ingredients and examples of each style. Extract, Partial Mash and All Grain brewing recipes are all supported by BeerSmith. BeerSmith even supports advanced techniques for each like late extract additions, mash profiles, batch sparging and first wort hops. Have you found an all-grain recipe that you want converted to brew as an Extract? BeerSmith is the only tool that lets you convert recipes between All Grain, Partial Mash and Extract brewing automically. Just open a recipe and click on the Convert tool. We have full support for metric, english and imperial units from the Options panel. In addition, you can enter the units into any field anywhere in the program and BeerSmith will do the conversion for you. Entering "2 kg" into any weight field will automatically convert it to your preset units. Finally, BeerSmith has standalone unit conversion tools for all unit types. Generate step-by-step brewing instructions for any recipe customized to match your equipment and preferences. Open any recipe and click on the Preview Brewsheet button to print a set of step-by-step instructions for brewing the beer. The instructions are customized to your equipment and brewing style. Organize your recipes into folders by dragging and dropping them between folders. Keep a log of recipes you have brewed. Share recipes with your friends in a variety of formats including BeerSmith and standard BeerXML. Publish recipes to a web page. Download Recipes from our recipe site. Create a personal shopping list. You can add all of the ingredients in a recipe to the shopping list with a single button click. Enter prices to total your cost. When you are done, print the list out and take it with you to the local brewing store. Track an inventory of ingredients you have on hand. Record prices for ingredients and recipes. Search for recipes you can brew using your inventory. Schedule your brewing sessions and mark upcoming events on the built-in calendar. Know when you need to start so your beer will be ready for the next special holiday or event. Plan your next homebrewing session with confidence, knowing that you have done your homework. Equipment plays a key role in brewing, and BeerSmith lets you customize your equipment profile for any recipe to match your personal brewing style. This can have a big impact on the flavor, character and consistency of your brew. Search your recipes by ingredient, even using just the ingredients in stock. Sort any list of recipes or ingredients by any column by clicking on the column header. Add new columns from the View menu. 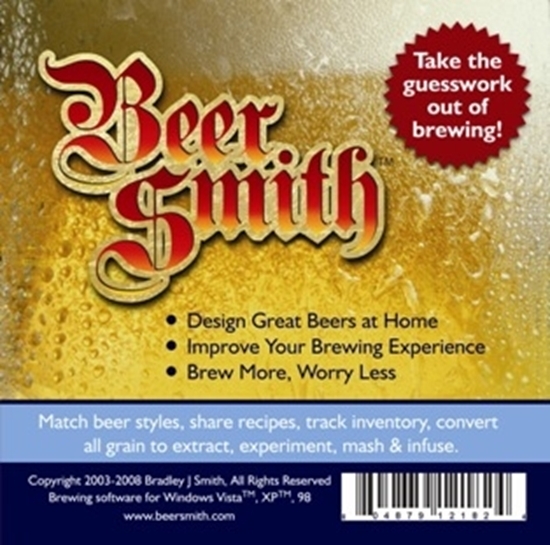 BeerSmith includes over a dozen standalone brewing calculators for common tasks like carbonation, hops bitterness, and water profiling to perform quick calculations. BeerSmith includes a complete set of mashing profiles for all grain brewers including temperature mash, multi-step infusion mashes and even complex decoction mashes. Best of all you can apply any profile to your recipe by just selecting it - BeerSmith calculates the correct water additions for your equipment, recipe and profile automatically. Batch sparging is also supported. BeerSmith will continue to support you as you grow from beginner to advanced brewer. Download Recipes, custom reports, discuss brewing with others, get new ingredients from our user support page. Also, BeerSmith has dozens of advanced tools and features for the advanced. Many microbreweries and professional brewers have switched to BeerSmith.